To wake up in a bed, is something I hope I will never again take for granted. The same goes for eating breakfast in a warm room, warm showers and dry clothes. After a fulfilling breakfast, I packed up my stuff and headed out the door. Anne Marit and Asad joined me for a few hours, until they had to go back. On the way, we met a few people, including Anne Marit’s ex-husband. He told me that after seeing my video from when I fell in the river (day 5), he was quite sure I was going to quit. “Well, I’m still going strong”. We also met a guy who had done Norge på Langs, with a horse. I thought that was pretty cool! 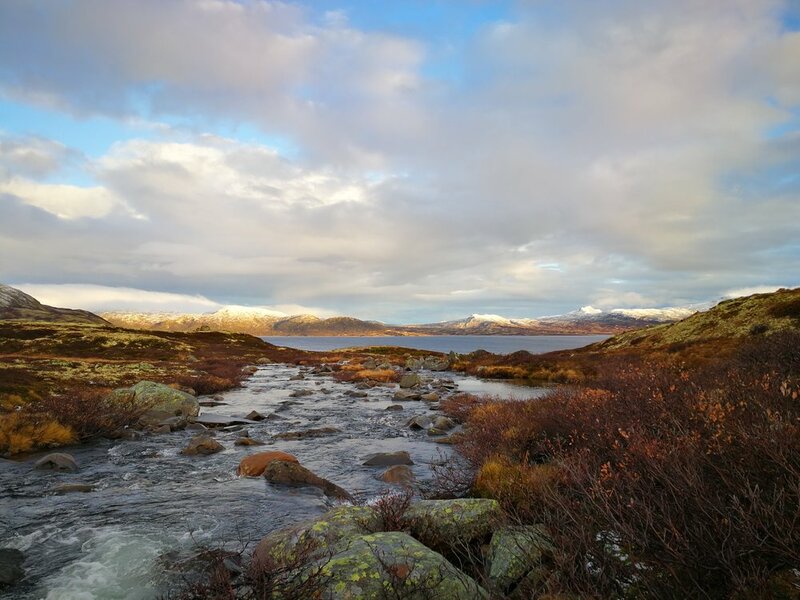 We talked for a while, and he showed me a path I could take to avoid Geilo centre, and save myself a couple of kilometers. While I was climbing the hill, it started to snow. Soft flakes were falling silently to the ground, making the surroundings quite magical. After a while, however, both the wind and the snow increased rapidly, turning into “oh-the-weather-outside-is-frightful-but-the-fire-is-so-delightful"-weather (meaning I would love to stay inside in weather conditions like that!). After a few hours, it had suddenly turned to winter. I walked on and on, only stopping to put on some more clothes. The snow made my clothes wet and after almost 40 km of walking, I was frozen stiff. Right before the darkness settled in, Anne Marit and Asad came driving to deliver my backpack to me (!) and I was able to get into their warm car while trying to call different hotels and camping spots in the vicinity to spend the night. 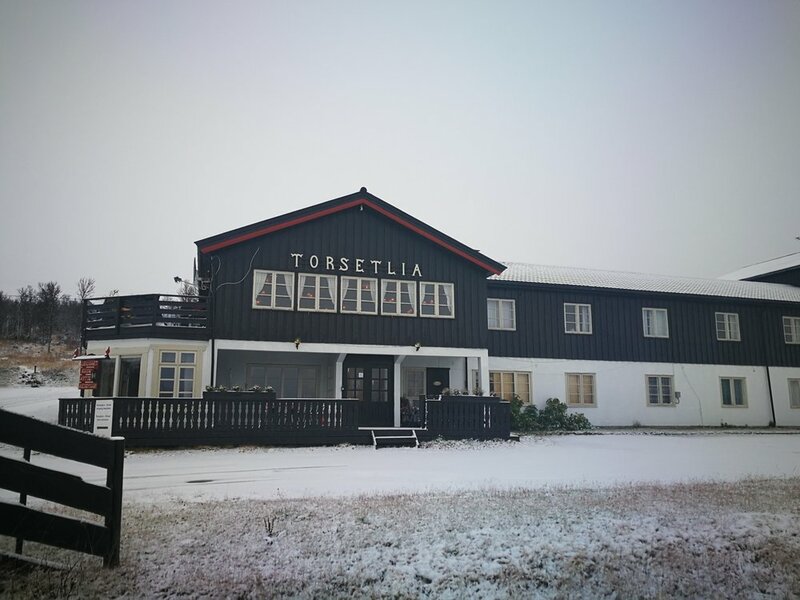 Luckily, Torsetlia Fjellstue was open. “Yes, we are open, you are most welcome”. I almost cried out of relief, and after saying goodbye to my helpful friends, I could take off all my wet clothes, turn up the heat in the room, and fall asleep. In my room, I really did cry. Out of exhaustion, happiness and relief. Guri, another trail angel. Thank you so much. Before I left, I asked Guri if they sold umbrellas. The weather forecast told me it was going to be a good mix of snow and rain during the day, so I thought that could be a good way to stay dry. They didn’t sell any umbrellas, but she gave me one of her own, the most colorful umbrella, I simply love it! “Now you’re visible in traffic too” she said and waved me off with a soft, gentle smile. I had a tough day, but by the time I wanted to stop and eat lunch, the downpour of snow stopped. That gave me some extra strength and I decided to walk on, up to a lake called Sønstevatn, 1100 meters above sea level. 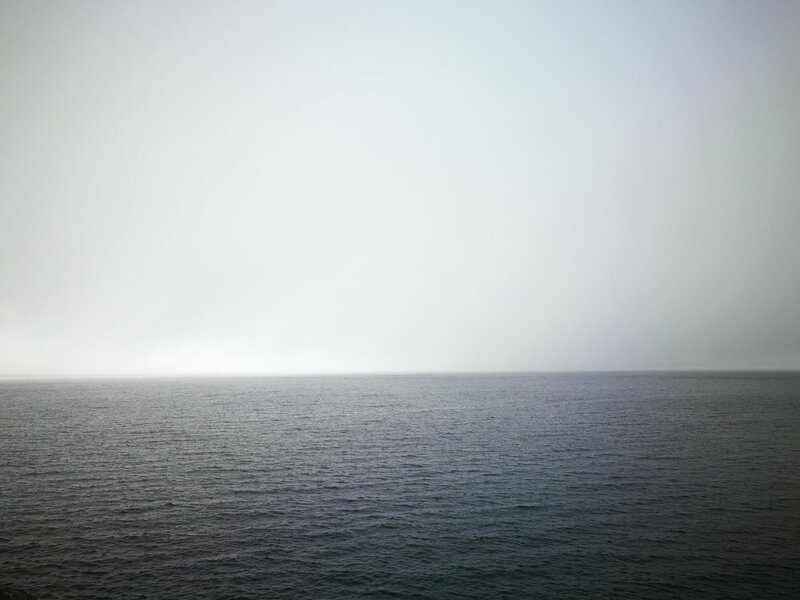 The view was probably nice, but due to thick fog, I couldn’t see much of my surroundings. After an hour, the weather turned quite horrible. 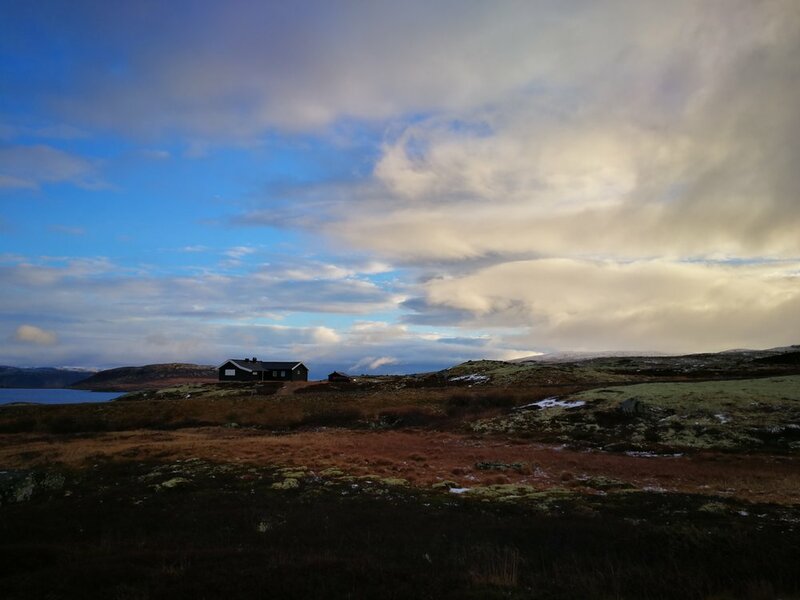 Strong wind, fog and snow made it very unappealing to sleep outside, so when I arrived at a cabin, I knocked on the door, hoping for shelter for the night. Nobody was home, so I tried to find a spot behind the house, protected from the wind. Too cold, man! Oh! My! God! What’s the time? Only 2 A.M? Dammit! Do I have any more clothes to put on? No, I’m wearing everything I have. Dammit! To start walking again, was a huge relief. During the night, everything had turned wet. Once I got outside the tent, I was momentarily stunned. The fog had cleared and I could now see what I couldn't the previous day. And the sun. The beautiful sun! The wind was fierce, but after an hour of walking, the descend started, and suddenly, winter was over. Down in Tessungdalen (a valley) it was nice and warm and I stopped at the local store to borrow the toilet and charge my phone. They had a small café inside too, so I had quite a long break, just sitting there enjoying the sofa and the sun. I continued all the way down to Sandviken camping in Austbygdi, just when it started to get dark. I was praying for it to be open, and it was. The toilet even had a hand-blowdryer, which I used to dry my tent. That took a little while, but man, it was so effective! 30 minutes later, I could pitch up a bone-dry tent. The temperature was much warmer than the night before, so after getting into my sleeping bag, I ate my Real-instant-meal-dinner and read Game of Thrones. What difference it makes to get a good night’s sleep! I woke up feeling light and happy. Looking out, the sun was rising and the air was dry. Just beautiful. I ate breakfast and prepared my backpack before heading towards Rjukan. While walking, I first talked to Evelina and Frederic, then Simon, making the road much shorter. Suddenly, I was at a grocery store in Atrå. I needed a break from carrying Mr. Skywalker, so I left him on a bench and went inside. The smell of waffles hit me in the face as I entered the shop, and further in stood several employees, including the manager, making and serving waffles. “Come and get free waffles and coffee” they said. Don’t mind if I do! 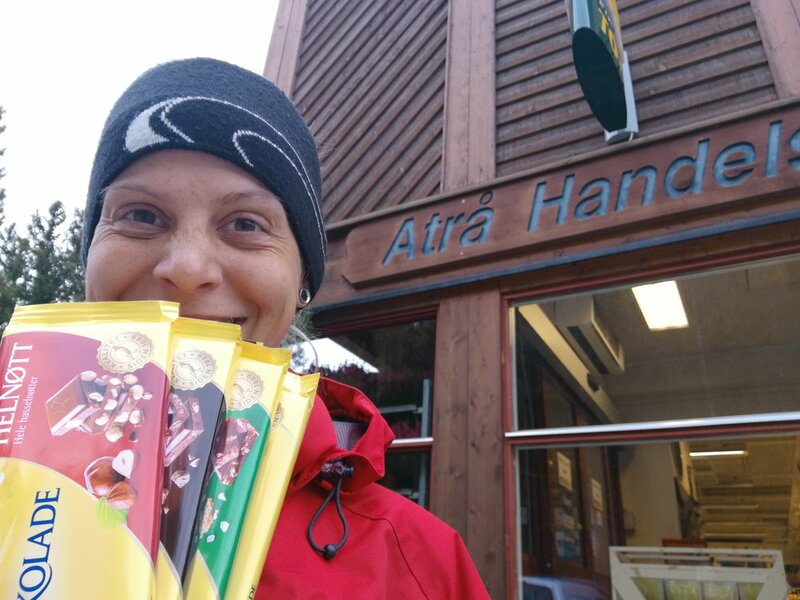 I talked with the manager for a while and after telling her about my trip, she wanted to sponsor me with something, and gave me 1kg of chocolate. The manager, Irene, posted a picture of me on their facebook page, and because of that, the local radio stopped me along the road for an interview. 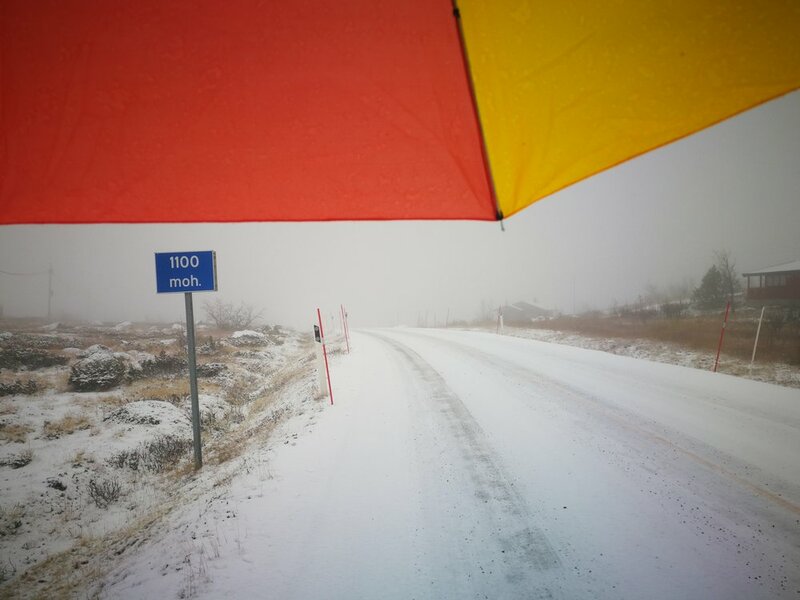 It started to rain before I reached Rjukan, but with my colorful wonder of an umbrella, that was no problem. I went into a gas station to borrow the toilet. 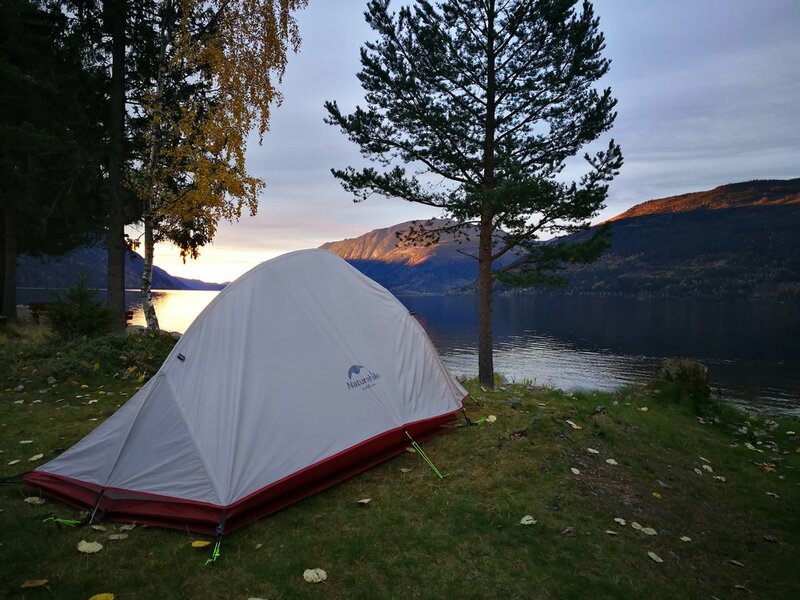 Two men sat by the entrance, and I asked them if they knew of a camping site or something similar in the vicinity, and they referred me to Rjukan Gjestegaard, a bed and breakfast in the city centre. I thanked the gentlemen, and continued down the street with Mr. Skywalker. I quickly located the B & B, went inside and paid for a room. It was a bit expensive, but much cheaper than a hotel room, which would have been the alternative. After settling in, I went to the shop close by to collect my resupply package (the last one!!). 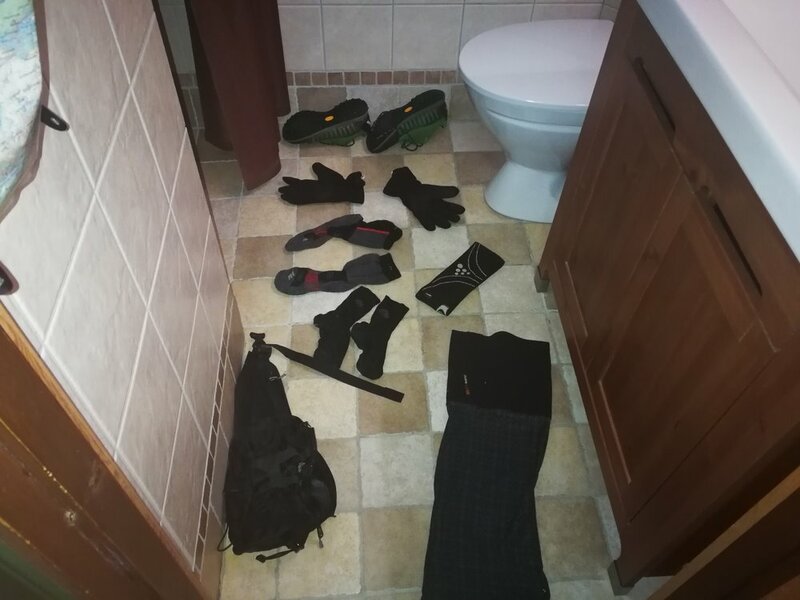 Once I got back to my room, I updated my backpack – added the new stuff and took out what I didn’t need any more, like the solar charger, extra shoes and all the maps.